President Vladimir Putin will head to Japan next month for an official visit. A number of joint projects are expected to be discussed and signed. Among them is a grandiose venture proposing the transmission of electrical power from Sakhalin Island to Hokkaido via underwater cable. Media describe the project as the very definition of 'win-win'. Japanese officials have taken a great interest in a project to lay an underwater electric cable running from Sakhalin to Japan's northernmost main island of Hokkaido, according to the Wednesday edition of Japanese financial newspaper Nikkei. Tokyo hopes that the major project, with an estimated price tag of $6 billion, could be used to help entice Russia to concessions in negotiations on the Kuril Islands. The cable would connect Sakhalin with the nearby northern Japanese city of Wakkanai, located just 40 km south of the southwestern tip of the Russian island. Power would be supplied by a RusHydro thermal power plant. Russian business media has been equally enthusiastic about the project. Expert magazine pointed out that despite the high cost, Japan would quickly get back its investment, "since Sakhalin energy costs three times less than it does in Japan," and Tokyo "is vigorously searching for cheaper sources of energy." "The project would be beneficial to Russia as well, which is also looking to diversify its electricity customers," the Russian magazine added. "At the moment, the bulk of Russian energy exports go to Europe." The project could be seen as a component of an 'Asian Supergrid', a mega energy project connecting not only Russia and Japan, but China and South Korea as well. China's State Grid Corp. and Korea Electric Power have shown an interest in the latter idea. As for the Sakhalin-Hokkaido link, the idea was first proposed back in 2011 by Japanese telecommunications firm SoftBank Group president Masoyoshi Son. Russia began showing interest in the idea in 2013. Tokyo, for its part, has been reticent, citing the project's high cost and the fears of falling into energy dependence on Russia. Attitudes toward the Sakhalin-Hokkaido link changed in May however, after a meeting between Putin and Japanese Prime Minister Shinzo Abe in Sochi. Abe hinted at the time that an agreement on the Kuril Islands could result in large-scale economic cooperation between the two countries. Tokyo agreed to Moscow's proposal to include the idea in a list of projects on bilateral economic cooperation. According to Expert, the Russian side has already begun preparatory work on the project. "RusHydro, for example, has begun the construction of a power plant on Sakhalin with sufficient capacity to provide electricity to the Japanese market. In October, generators began to be installed. The Japan Bank for International Cooperation is actively involved in negotiations on providing financing for the project." The project's approval will require changes to Japanese law on connections to the energy networks of foreign countries. Tokyo is still worried about the potential for energy dependence on Moscow, Expert noted, but a representative of the Japanese Foreign Ministry told the magazine that the likely benefits are seen to outweigh these concerns. "From a political and symbolic point of view, the connection of Russia and Japan via an electrical cable is of great importance," the diplomat said. Nikkei too confirmed that the project has good prospects for success, especially if Moscow and Japan are able to break the deadlock in negotiations on a peace treaty between the two countries next month (Russia and Japan still have no formal peace treaty on the conclusion of the Second World War). 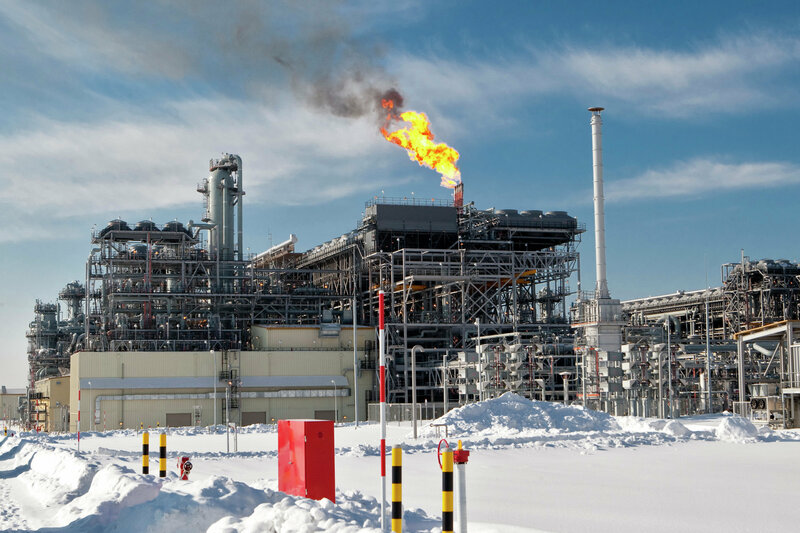 The flare system at Russia's first liquefied natural gas (LNG) plant (the Sakhalin II project), built by Sakhalin Energy Investment Company Ltd. in the village of Prigorodnoye in southern Sakhalin. The island has been turned into a major source of energy in Russia's Far East. "And the prospects for cooperation in the energy sector are not limited to the laying of an underwater electricity cable, either," Expert explained. "A group of politicians from Japan's ruling coalition has proposed the construction of a gas pipeline to supply gas to Tokyo Bay through Hokkaido. The proposal was sent to the government on October 18 by MPs from the Liberal Democratic Party and its coalition partner, the Komeito Party. The group is headed by Liberal Democrat Takeo Kawamura, a close Abe ally." The latter project proposes laying a 1,500 gas pipeline, and would cost 700 billion yen (about $6.7 billion US). 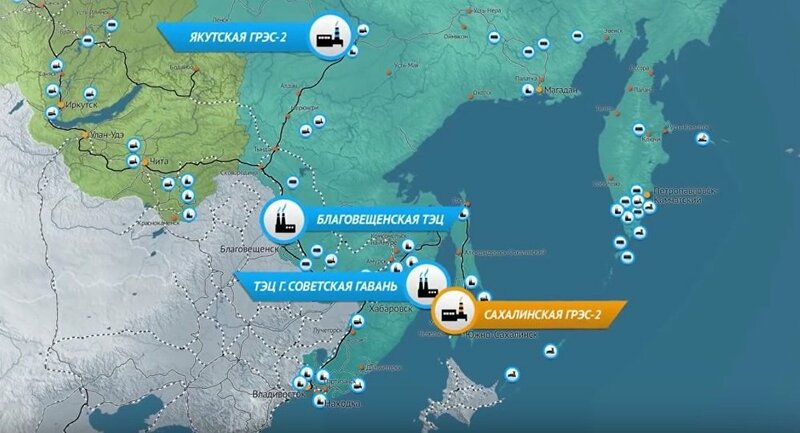 Part of the pipeline would go underwater between southern Sakhalin and Wakkanai. The Russian gas provided by pipeline would be significantly cheaper than liquefied gas, delivered by ship. Gazprom has accelerated a study of the project's feasibility. Russian and Japanese officials have been discussing the project, most recently in a visit of representatives of the Japanese Ministry of Economy, Trade and Industry to Moscow on October 21. Environmental issues, and questions about cost sharing, along with some technical details, remain to be resolved. But in light of the recent upturn in Russian-Japanese relations, Japan's search for cheap, reliable energy sources, and Russia's search for new markets, the prospects look good.